The new Fiesta will offer high-tech safety features normally seen in premium cars. Ford says its new Fiesta is the world's "most technologically advanced small car." The claim is difficult to measure but it does set up an intriguing battle with the new-geneation Volkswagen Polo for tech supremacy in the subcompact segment. 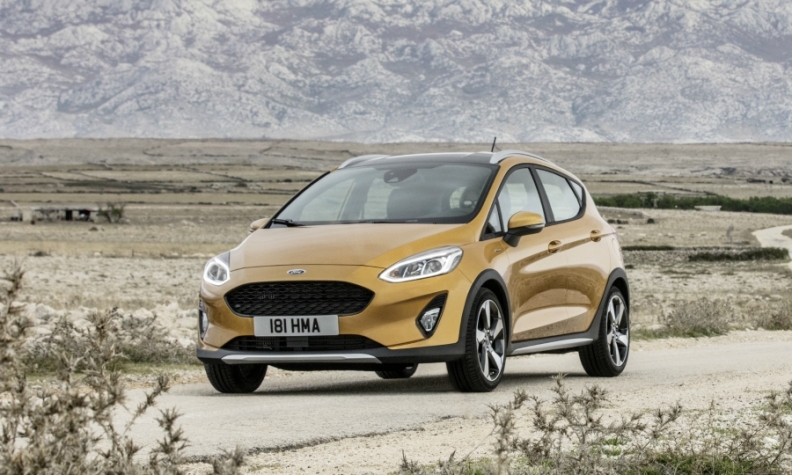 The Fiesta's advanced technology might help the car to regain the sales lead in the segment after it dropped to third place through November last year (see chart below). But VW, whose current Polo won the World Car of the Year accolade in 2010, isn't standing still. The next Polo could top the Fiesta's equipment offerings with features such as semi-autonomous driving and gesture controls. The Fiesta will go on sale in Europe in the summer, with the new Polo arriving in September. This means engineers have been able to add up-to-date safety and infotainment features trickling down from larger models. Pre-collision assist that uses the headlights to help people who may cross the Fiesta's path and apply the brakes. A parking assistant that can apply the brakes to prevent low-speed bumps if drivers do not respond to system guidance and proximity warnings while performing forward and reverse maneuvers. Traffic sign recognition that can monitor multiple speed limits on individual highway and update the display if the driver changes lane. Automatic high beam control that performs more effectively in situations where a central barrier divides opposing carriageways and can detect oncoming trucks to avoid dazzling drivers positioned above the central divide. An alert to warn drivers reversing out of a parking space of vehicles that may soon be crossing behind them. Adaptive cruise control and lane keeping alert, two well-known technologies that are not yet common in subcompacts. VW hasn’t released any information about the next Polo but it will sit on a new platform - a smaller version of the MQB architecture used by the Golf and Passat. This will enable VW to add a semi-autonomous driving feature that can steer, brake and accelerate the car in stop-and-go traffic.The Polo could also get gesture control that uses infrared sensors below the touchscreen to allow occupants to scroll through radio stations via a swipe of the hand. Both features were introduced on the recently face-lifted Golf. They could be offered on high-end versions of the Polo, German media reports have said. 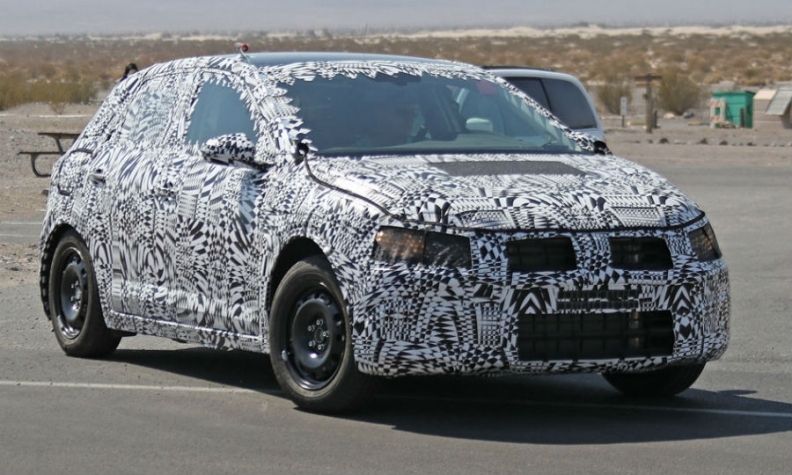 The new Polo pictured with camouflage during road tests. VW is likely to release some details of the new Polo's technical specifications, along with pictures of the car, around June, just before Ford's European sales launch of the Fiesta. The Fiesta has been Europe's top-selling subcompact car since 2012 when it passed the Polo, but last year faced a challenge not just from its VW rival but also from a refreshed Renault Clio. Top-selling subcompacts in Europe through Nov. 2016, with % change.